The holiday season is here, and it’s an understatement that we are running around like wonder woman trying to get everything done (my Instastories tell it all). You have been decorating the house, trimming the tree, playing festive holiday music to get inspired and thinking of your holiday gift list. The last thing you want is a fifteen step makeup routine only to look like you spent the better half of the day putting on your face. I am a big believer that less is more when it comes to makeup, I have researched the heck out of serum foundations for my La Mer foundation Dupe video which took me months of trial and error. I like my skin to look illuminated, fresh and real. I don’t follow beauty trends nor fashion trends. 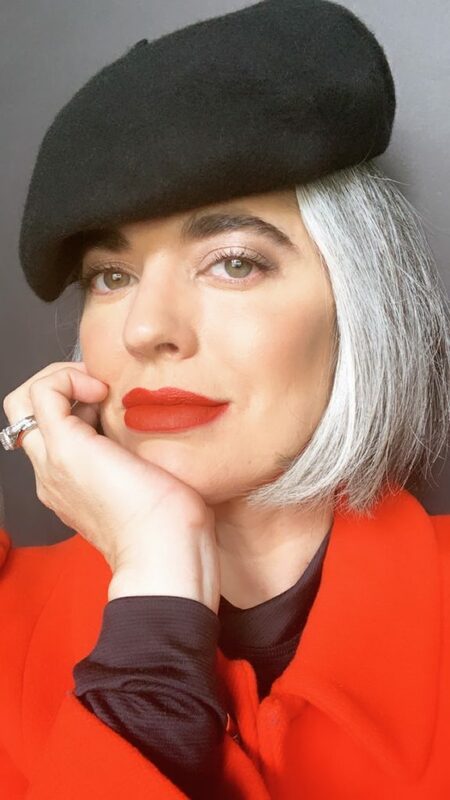 I tend to keep things classic, approachable and straightforward when it comes to my makeup and when I am teaching makeup lessons in the studio. As a beauty expert and professional makeup artist, I experiment with a lot of products. Some products make the cut and I use them until I have to cut the packaging open to get the very last drop or they don’t. I have a little rotation of concealers and foundations that I love using. Some days my skin needs more hydration so I will pick up a foundation packed with hyaluronic acid and somedays I need more coverage so I will alternate between my foundation bench if you will. 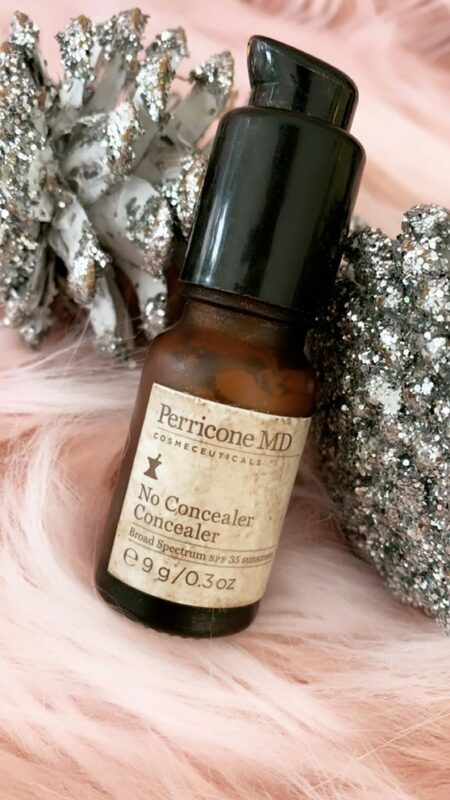 I have been using Dr. Perricone’s No Concealer Concealer for a little over a year now (as you can see by the old and worn packaging) it’s my go-to on the weekends when I have a bit of under eye darkness and want to run out the door but look flawless. The concealer is a multi-tasking eye concealer, so it not only gives you coverage from dark circles but it’s an eye primer, highlighter and blemish concealer. I won’t use a product around my eyes unless it has an SPF and it is crease-proof. Not only does this concealer have both (SPF is Zinc Oxide and Titanium Dioxide) but it reduces the appearance of imperfections and discoloration. When I am looking to test out new makeup products for myself, blog posts or videos I want the makeup I am testing not to be just makeup but something more powerful and beneficial to my skin. 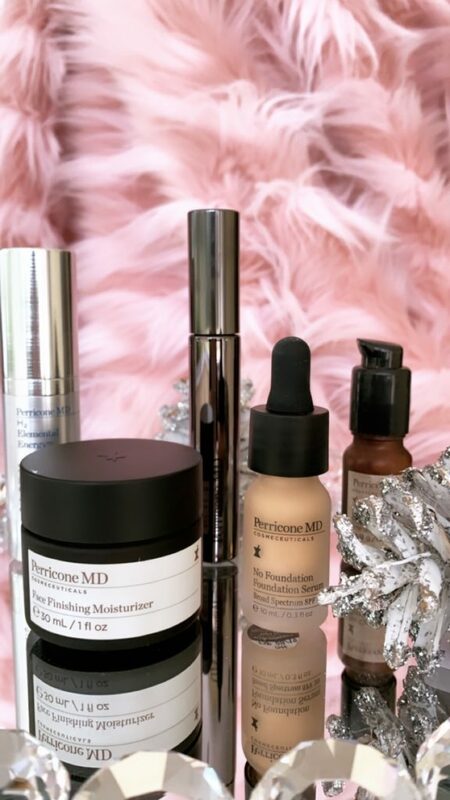 I am attracted to makeup lines that provide more benefit to the skin and help feed the epidermis with potent active ingredients hence why I love using these two staple products from Dr. Perricone. 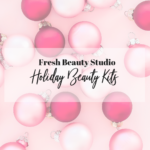 Flawless Holiday Skin with minimal effort. I am wearing on Lips, Eyes, Mascara, Brows. I love how I can add a festive holiday matte red lip, and my skin looks so smooth and poreless. I want my lips to be the focus not a heavy foundation application on my skin. Dr. Perricone’s concealer is infused with Vitamin C Ester which gives you brightening and smoothing, it is a more potent, highly stable and less irritating form of the antioxidant-rich Vitamin C. Vitamin C Ester is a trifecta giving the epidermis an appearance of collagen-rich skin by brightening and visibly smoothing the skin while minimizing discoloration over time. If you are worried about wrinkles, sagging skin or dullness Dr. Perricone also includes Neuropeptides- a powerful, protein-like building block that encourages surface skin cells to work together by a unique system of chemical structures. My concealer looks like it needs a little refresh, but you can see how it’s been in my makeup rotation for a while now. Tried and true. If you have been following me and watching my beauty YouTube videos you know, I am partial to serum foundations. I feel that everyone over the age of forty should be using a liquid serum foundation. Serum foundations tend to be sheer and give your skin an effortless glow. One of the ingredients Dr. Perricone is known for is his love of using Alpha Lipoic Acid one of nature’s most potent antioxidants. I learned about this super anti-oxidant in his book The Wrinkle Cure. I followed his anti-wrinkle diet to the T. with my Mom over a decade ago. I ate up as much salmon and hazelnuts as I could, and I loved how my skin and body looked with his Anti-Inflammatory protocol. I have to say though some mornings were tough when I wanted to go back to my not so healthy eating habits. 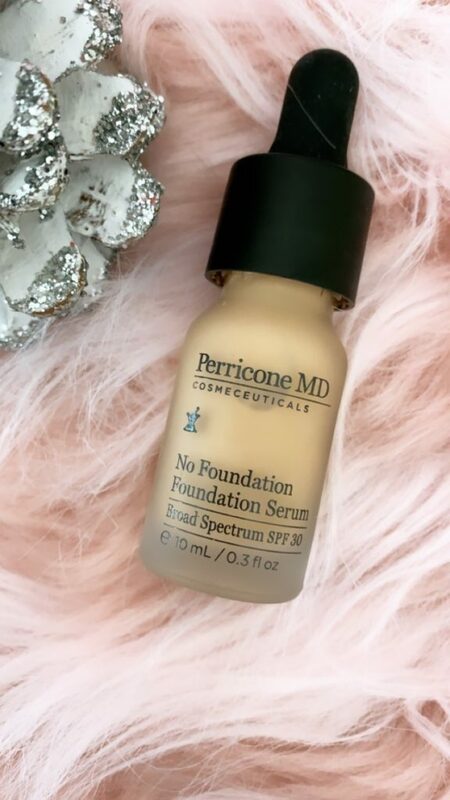 With this No Foundation Foundation serum, you get an instant, sheer and buildable coverage. I love how smooth the consistency of the foundation is on my skin and how it minimizes the appearance of fine lines and evens out the texture of my skin. I noticed a little more glow to my skin than other serum foundations I have tested and used. I like that I don’t look like I am wearing tons of makeup but I still have a flawless look to my skin that’s a little dewy but dries a soft semi-matte finish. It’s available in five shades giving you a range to find your perfect color and includes a mineral-based SPF 30. This holiday season don’t sweat the small stuff when it comes to your makeup routine. We all want gorgeous, hydrated glowy skin and it doesn’t have to be difficult. These two products make your life easier when you don’t have tons of time to spend in front of the mirror. It’s about having more time sipping on champagne and enjoying family and friends this holiday season. Cheers, Ladies, to a beautiful stress-free makeup routine.